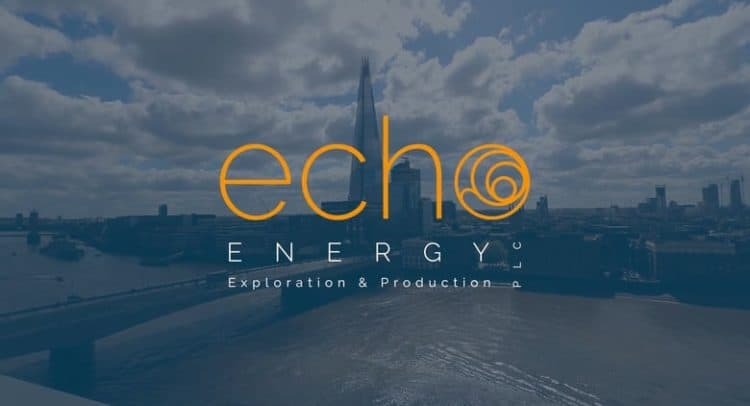 Echo Energy plc, the South and Central American focused upstream gas company, is pleased to provide an update on its proposed farm-in to 50% interests in each of the Fracción C, Fracción D and Laguna De Los Capones concessions (the “Concessions”) and to a 50% interest in the Tapi Aike exploration permit (the “Exploration Permit”), each located onshore in Argentina (the “Transaction”). The terms of the Transaction were announced on 1 November 2017. The Company confirms that progress continues to be made in advancing preparations for the Transaction and that documentation, including an AIM admission document in connection with the Transaction, is at an advanced stage. The Concessions and the Exploration Permit are each currently held 100% by Compañía General de Combustibles S.A. (“CGC”). The Company is also pleased to announce that Echo and CGC have now agreed an extension to the Closing Date (as defined in the Company’s announcement of 1 November 2017) such that the Closing Date has now been extended from 29 December 2017 to 2 February 2018 or a subsequent date which the parties may mutually agree. Further announcements will be made, as appropriate, in due course. By virtue of its size, the Transaction constitutes a reverse takeover under Rule 14 of the AIM Rules for Companies. Accordingly, the Company’s Ordinary Shares were suspended from trading on AIM on 30 October 2017 and will remain suspended from trading on AIM, pending publication of an AIM admission document or an announcement that the Transaction has been terminated.